The police in Lagos have arrested a 20-year-old tricyclist John Babalola for allegedly r*ping a teenager (names withheld) in his neighborhood. 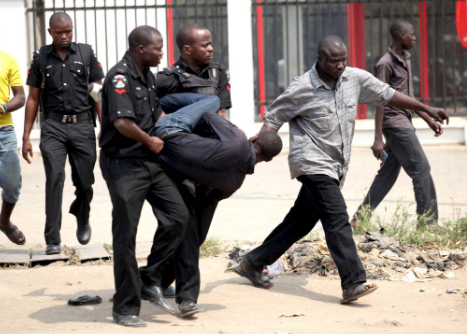 He was arrested on March 15 by the Family Support Unit (FSU) of the Nigeria Police at Iju Ishaga Division, Lagos. Following the suspect’s arrest, his friends had taken to threatening the girl and her father. According to Child Protection Network (CPN), the teenager was r*ped while her mother was terminally ill and the woman passed on Tuesday morning. “The perpetrator ran away after the act but later surrendered himself to the Police where he was detained. We understand that the Investigating Police Officer (IPO) was doing her best to ensure justice.